They are ready to pick when they change from green-yellow to an intense yellow. They will not be soft (otherwise they start to drop). Pick them in a 5-quart buckets. Keep them at room temperature to ripen. 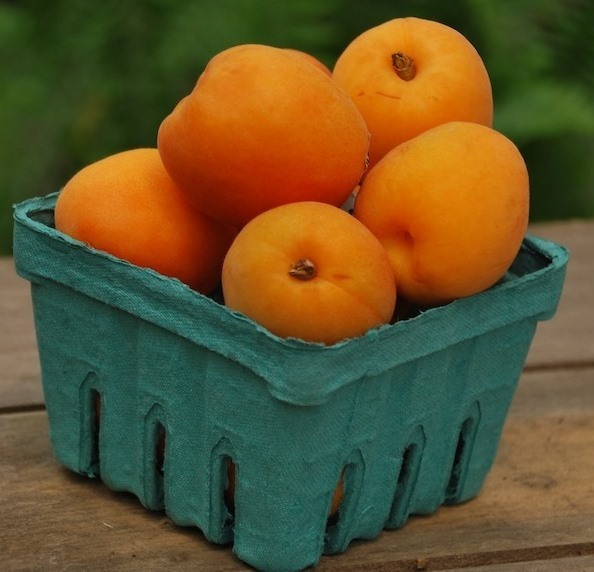 Apricots will continue to ripen after they are picked.